The Samsung Galaxy S6 Edge Plus is an extremely good looking smartphone with a large 5.7-inch curved display. 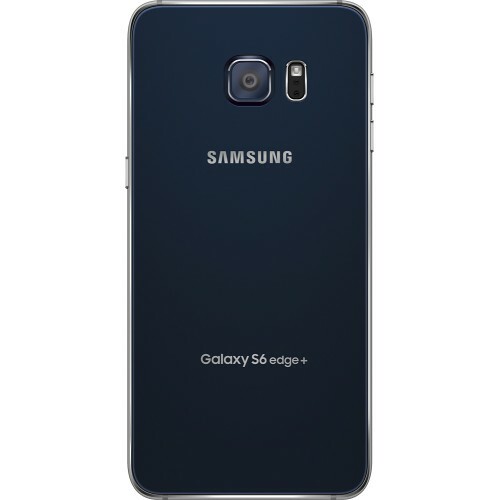 The Samsung Galaxy S6 Edge Plus looks very similar to the previously launched Galaxy S6 Edge and even has the same technical specifications except for 1 GB more RAM. Listed below are the top 13 must have Samsung Galaxy S6 Edge Plus accessories. 1. 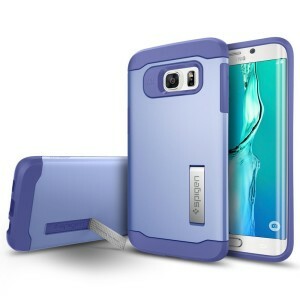 Spigen Samsung Galaxy S6 Edge Plus Slim Armor Case: The Spigen Samsung Galaxy S6 Edge Plus Slim Armor Case matches the stylish profile of the Samsung Galaxy S6 Edge Plus and offers extreme drop protection too. The Spigen Samsung Galaxy S6 Edge Plus Slim Armor Case is available in 4 different colors. 2. ArmorSuit MilitaryShield Samsung Galaxy S6 Edge Plus Screen Protector: Protect your touchscreen display from scratches, dust etc. with the ArmorSuit MilitaryShield Samsung Galaxy S6 Edge Plus Screen Protector. The ArmorSuit MilitaryShield Samsung Galaxy S6 Edge Plus Screen Protector is made from military-grade material and comes with a lifetime replacement warranty. 3. Choe Circle Qi Fast Charge Wireless Charger Charging Pad: The Samsung Galaxy S6 Edge Plus is Qi-enabled right out of the box, which essentially means that it charges wirelessly when placed on any charging pad that utilizes Qi Inductive Charging Technology. The Galaxy S6 Edge Plus also supports fast wireless charging and the Choe Circle Qi Fast Charge Wireless Charger Charging Pad can charge your device at a max output of 10W. 4. Anker PowerPort+ 1 Quick Charge 2.0 18W USB Wall Charger: It is always handy to have a spare wall charger for travel or office. 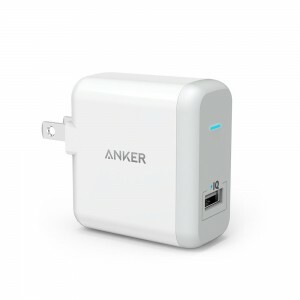 The Anker PowerPort+ 1 Quick Charge 2.0 18W USB Wall Charger is a great choice. 5. 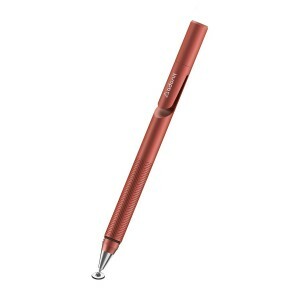 Adonit Jot Pro Fine Point Precision Stylus: Unlike the Samsung Galaxy Note 5, the Samsung Galaxy S6 Edge Plus doesn’t get the S Pen. So, if you need a very good responsive stylus for your Galaxy S6 Edge Plus, Adonit Jot Pro Fine Point Precision Stylus is your top choice. 6. 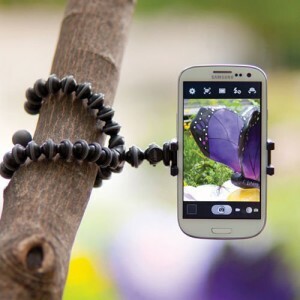 Joby GripTight XL Gorillapod Tripod Stand: The Joby GripTight XL Gorillapod Tripod Stand is designed specially for large devices and holds all smartphones ranging from 2.7-inch to 3.9-inch wide. Unleash the creativity in you with the highly flexible Joby GripTight XL Gorillapod Tripod Stand. 7. SanDisk Connect 64GB Wireless Flash Drive: The Samsung Galaxy S6 Edge Plus unfortunately misses out on the memory card slot. 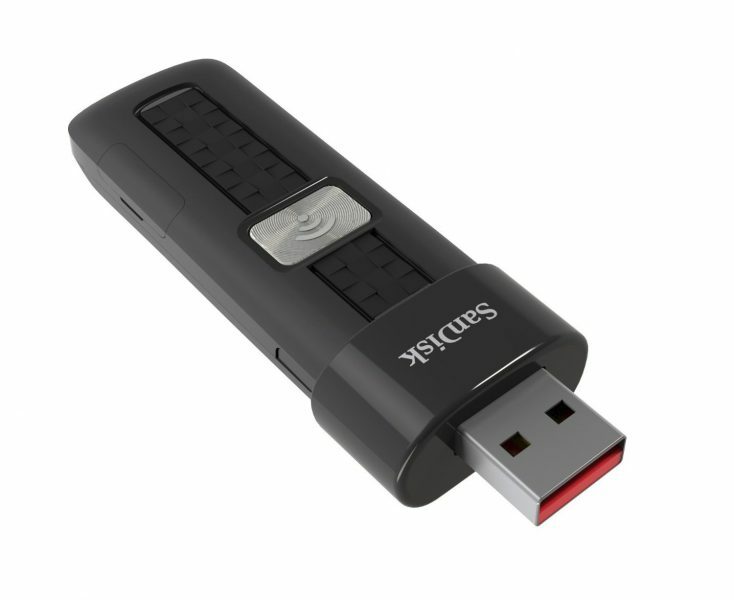 Expand the storage on your Galaxy S6 Edge Plus by up to 64 GB with the SanDisk Connect Wireless Flash Drive. 8. 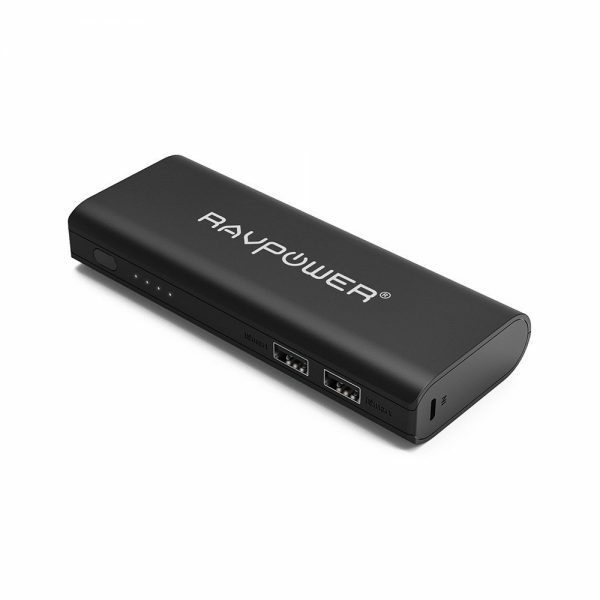 RAVPower 10400mAh Portable Charger External Battery Pack Power Bank: The Samsung Galaxy S6 Edge Plus boasts a large 3000mAh battery. The RAVPower 10400mAh Power Bank charges the Galaxy S6 Edge Plus to 100% twice and still has some juice left in it. 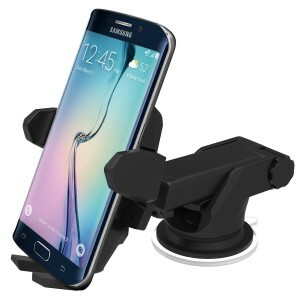 9. iOttie Easy One Touch Wireless Qi Standard Car Mount Charger: The iOttie Easy One Touch Wireless Qi Standard Car Mount Charger serves as a stand for the Samsung Galaxy S6 Edge Plus and also lets you wirelessly charge your Qi-enabled Galaxy S6 Edge Plus. 10. 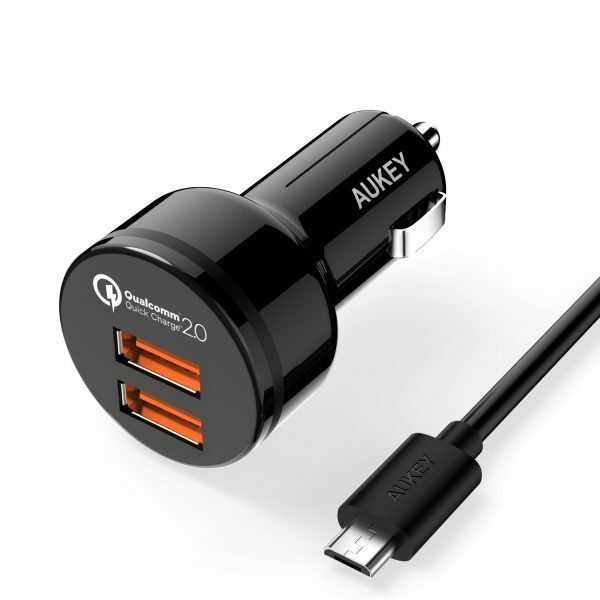 Aukey Quick Charge 2.0 36W 2 Ports USB Car Charger Adapter: The Aukey Quick Charge 2.0 36W 2 Ports USB Car Charger Adapter features two ports that both support quick charge 2.0. 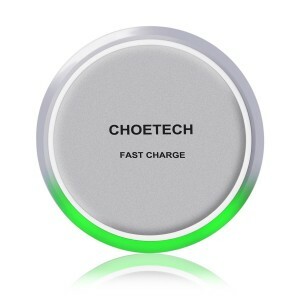 N0w, charge two devices at a time at maximum speed. 11. 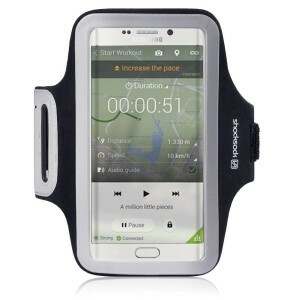 Shocksock Reflective Samsung Galaxy S6 Edge Plus Armband: The Shocksock Reflective Samsung Galaxy S6 Edge Plus Armband is a decent enough armband that lets you carry the Galaxy S6 Edge Plus along with you to your sports or workout sessions. 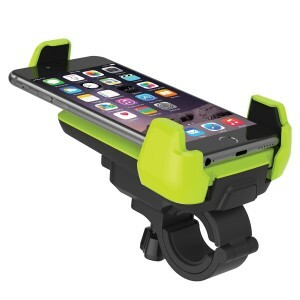 12. iOttie Active Edge Bike Mount for Samsung Galaxy S6 Edge Plus: Mount the Galaxy S6 Edge Plus securely on your bike/motorcycle with the iOttie Active Edge Bike Mount. 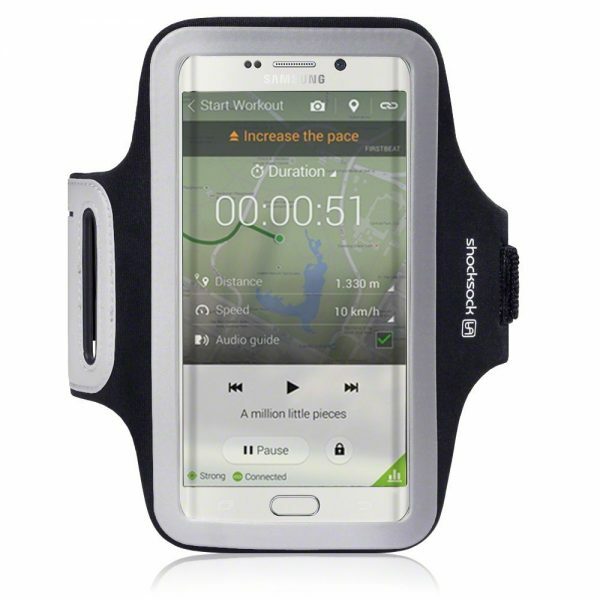 The iOttie Active Edge Bike Mount for Samsung Galaxy S6 Edge Plus supports both portrait and landscape orientation. Note that the iOttie Active Edge Bike Mount is a tight fit for the Samsung Galaxy S6 Edge Plus with just enough space to squeeze it in. 13. Mediabridge USB 2.0 Micro-USB to USB Cable: The Mediabridge USB 2.0 Micro-USB to USB Cable lets you conveniently transfer files between the Samsung Galaxy S6 Edge Plus and your PC/laptop. These are the top 13 must have Samsung Galaxy S6 Edge Plus accessories.